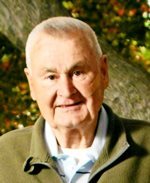 Soltis, Joseph G. Soltis, age 85, of Stratford, the beloved husband of the late Elizabeth Sipos Soltis, passed away peacefully on April 6, 2018 at MidState Medical Center with his loving family by his side. Joseph was born on March 17, 1933 in Ambridge, Pennsylvania and was the son of the late John and Veronica Verbosky Soltis. He was a proud Veteran of the U.S. Army and was employed by Amtrak as a machinist for 35 years. Joseph was an active member of the VFW #9460, where he served on the color guard and on many committees, Past Post Commander of Westport VFW #399, and a member of American Legion of Shelton. He enjoyed hunting, fishing, golfing, playing cards and always lived life to the fullest. Joseph is survived by his cherished daughters, Christine Musante and her husband Frederick of Milford, Deborah Soltis of Seymour, loving granddaughter, Courtney Musante and several nieces and nephews. A graveside service will be held on Tuesday, April 10, 2018 at 11:00 AM in Mt. Grove Cemetery, Bridgeport with full military honors. Friends may call at the Galello-Luchansky Funeral Home, 2220 Main Street Stratford on Monday from 4:00 – 7:00 PM.